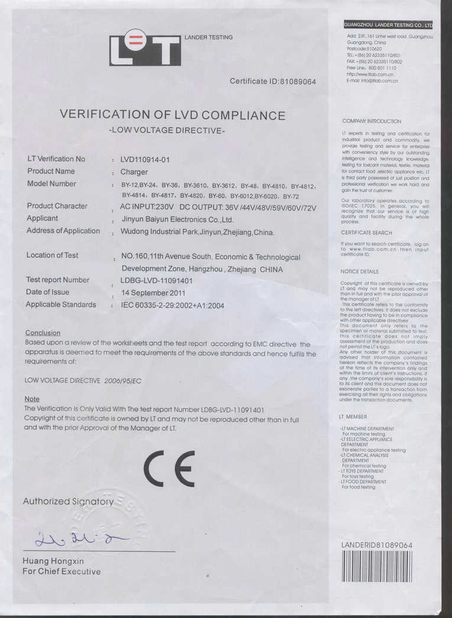 Quality Control - HANGZHOU DREAM WHEEL TECHNOLOGY CO.,LTD. 1. 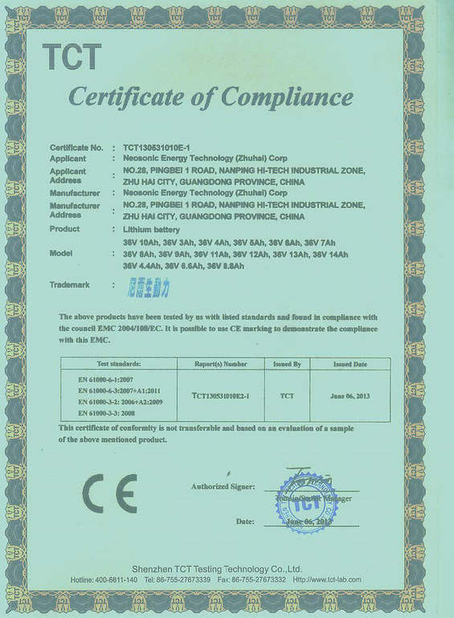 For electronic accessories, we implement 100% inspection policy. Ensure that all parts, work well. 2. 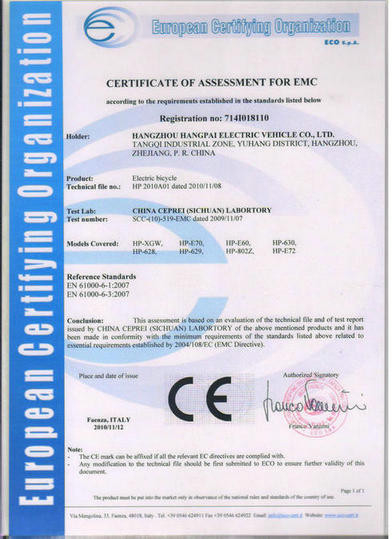 For the ordinary parts, we do the inspection follow the ratio of not less than 10%. If the problem is found, replace new one timely. Don't delay the delivery time. For the finished products, we implement the 100% inspection policy. 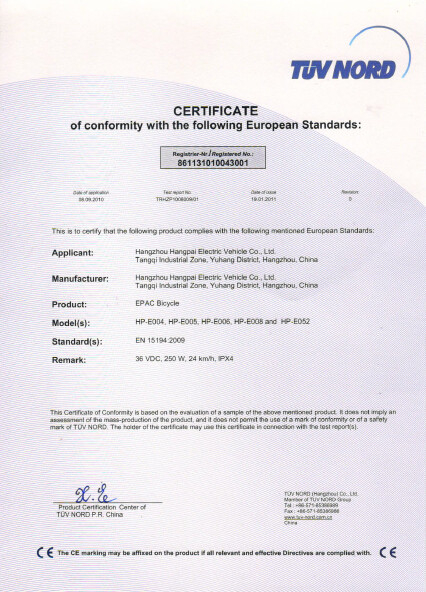 Each completed e-bike, must be placed in fixed area, waiting for a detailed examination of QC people. 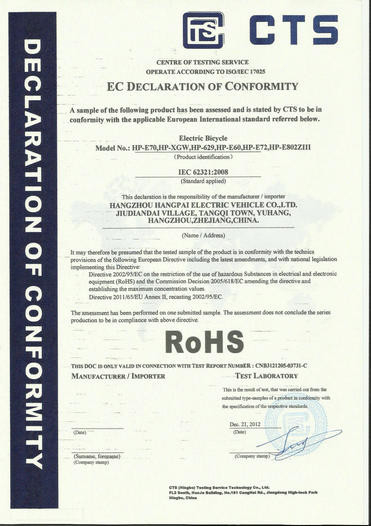 We have 2 QC teams, to test electric bicycles and electric scooters. 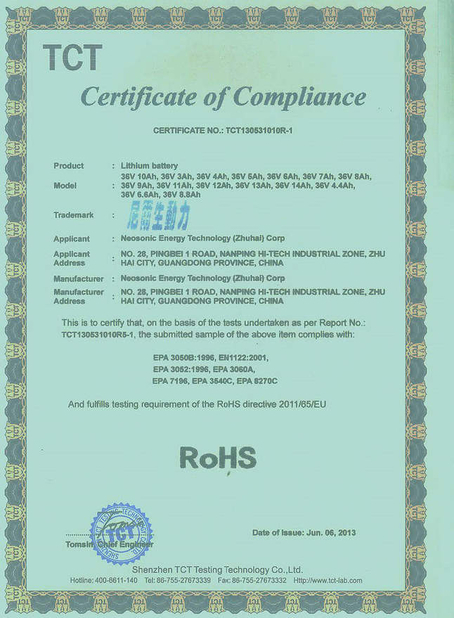 Each e-bike and scooter, must pass 18 items static tests and one road riding test. If found problem, need to be sent to the designated area, waiting for technicians to adjust or repair. When no problem, take to the packaging area, waiting for next step. Our major exporting markets in Europe and America. 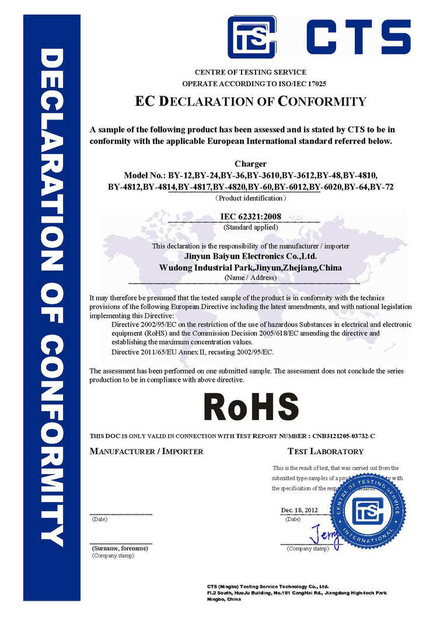 Some of our products have passed CE, RoHS and EN15194 certification. For the purchase of our products, please contact our staff for confirmation.